Seeing Your Face Again is the second book in the Beiler Sisters series by one of my favorite authors, Jerry Eicher. 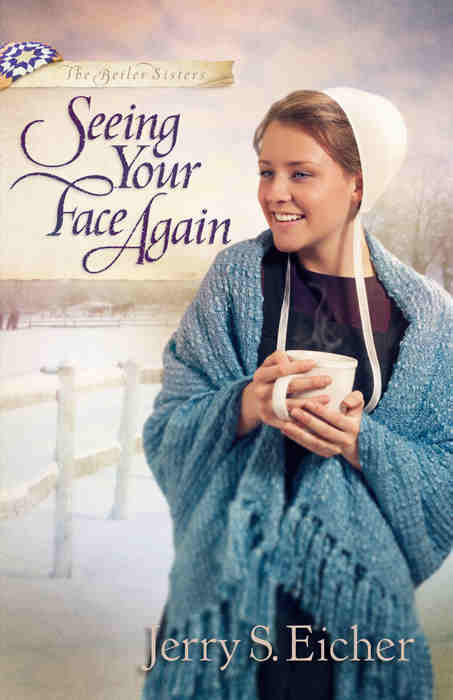 I reviewed Holding a Tender Heart, the first book of the Beiler Sisters, this past February, and I was thrilled when I checked my mailbox recently and found a signed copy of the second book of the series, Seeing Your Face Again. As much as I love reading Jerry Eicher’s books, I am not going to tell you it’s easy… my daughter dreads seeing me sit down with a new book by Jerry, for the simple reason that she has to run for the tissue box, while watching the tears stream down my face! Jerry Eicher writes “real life” stories better than anyone else I have ever read… now please don’t misunderstand me, there is plenty of joy and good times, but the pain and heartbreak is also there… the same feelings that people face in our own lives. I am always surprised by some of the twists and turns, yet each one rings true. Debbie leaves her home, moves in with the Bishop’s family and is on a path to join the church, only to discover that the man she loves has walked away from the church, and his family, and her… to pursue a life in the city. Yep, that’s the way things can happen for any of us. Life doesn’t always go the direction we head towards. I don’t want to give away anything important to the story, so let me stop here – and encourage you to read it on your own. It’s a wonderful story and I’m sure you’ll enjoy it as much as I do. I received this book from Jerry Eicher. The thoughts above are my own. The fact that I am a huge fan has no bearing on them at all. HERE is a link to Jerry Eicher’s website. You really should read the other books in this series, too… and please feel free to go back and read my posts for many of Jerry’s other books. ← 70,000 words… easy… right? Is it?